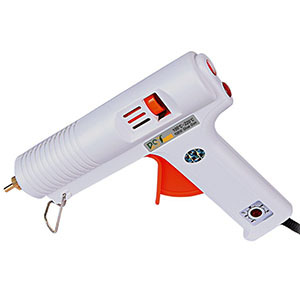 A relatively new addition to the clothing industry is heated clothing. This convenient clothing is battery heated and provides incredible warmth during cold, winter weather that a normal jacket can’t provide. 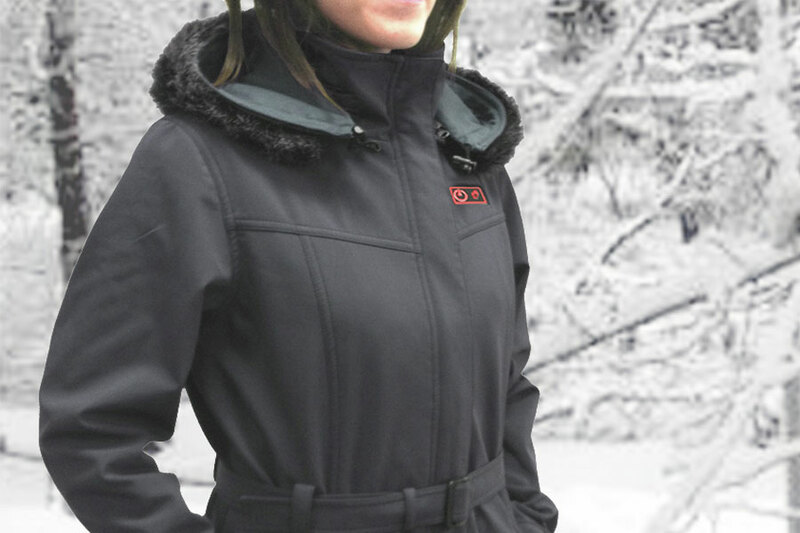 Many different manufacturers are starting to offer lines of heated clothing for consumers. One of the most popular types of heated clothing is the heated jacket. A heated jacket is a piece of clothing that you can wear over the top of regular clothes to keep warm in cold weather. They typically have warming zones that are located in the back area, the chest area and sometimes in the arms or the neck area depending on the design and manufacturer. With all of the different designs available it is important to know what features to look for before you purchase a heated jacket. This guide and the reviews below will provide you with the knowledge you need to understand what makes a high quality heated jacket that will keep you warn no matter how cold it is outside. 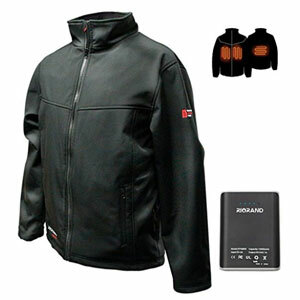 This high quality heated jacket from Bosch will keep you warm in all kinds of inclement weather. It is made from 100% polyester and is rain and wind resistant. The Bosch heated jacket contains three heat zones that will start heating in seconds. There are three levels of heat available: low, medium, and high that are color coded for easy identification. The three heat zones are located in the chest and back areas; two in the chest and one in the back which will keep your core warm. The maximum run time is up to 6 hours on the low setting. There is a USB charging option that works on most small electronics like tablets, cell phones, and MP3 players while you are wearing the jacket. This heated jacket features five pockets including one that will hold you cell phone, another that will hold documents and two hand pockets. If you live in a colder climate you will love having this jacket whenever you have to be outdoors. 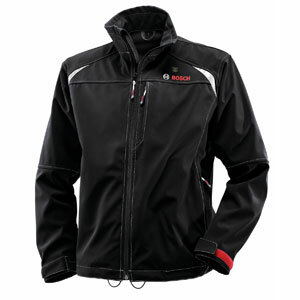 Sizes available for this Bosch jacket include small, medium, large, X-large, 2X-large, and 3x-large. DEWALT is known for their high quality products and this heated jacket is no exception. Users will keep warm in all kinds of cold weather activities including camping, working outdoors, hunting, and more. This stylish and functional camo heated jacket has four heating zones: left and right chest, collar, and middle of the back. You’ll have plenty of room for your belongings thanks to the 7 pockets. 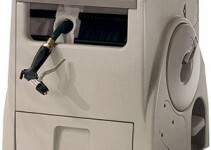 The heating unit enables users to charge their personal electronics while wearing the jacket. This water resistant jacket can be worn in light rain and snow and keeps you from getting wet. The removable hood has a face and neck guard to protect your face from the elements. All of the heating zones are run by an LED controller that offers a choice of three temperature settings. You will get 7 ½ hours of runtime out of this jacket. 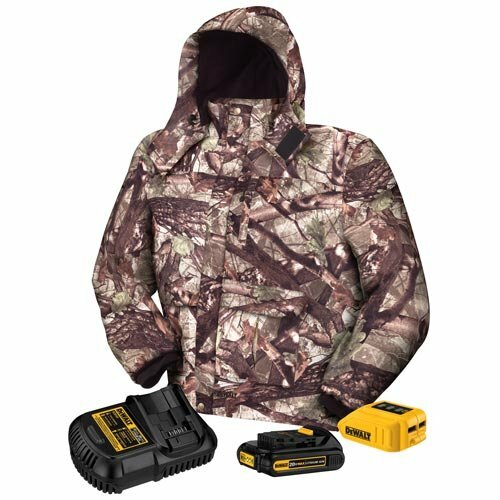 This DEWALT heated jacket is available in small, medium, large, and also 3X. 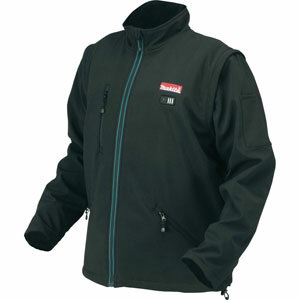 You’ll be able to stay warm in any kind of harsh, cold weather job wearing this heated jacket from Makita. Features include three heat zones: left and right chest and back, three heat settings, and four pockets that provide room for you to carry personal items. The on/off controller has three LED indicators to let you know which setting your jacket is currently set to for your convenience. Another popular feature of this attractive heated jacket is the ability to charge your portable electronics as well thanks to the on-board USB port. The fleece-lined collar is soft and comfortable to wear even when it is zipped all the way up. The drawstring waist and storm cuffs that are knitted provide a great fit that will keep the cold out and you warm. You can choose from a variety of sizes including small, medium, large, X-Large, 2X, and 3X. You can also choose camo design if you prefer. 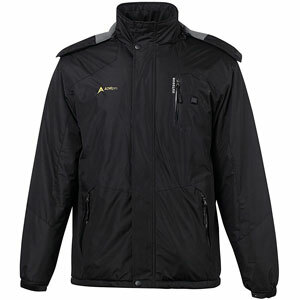 AdirPro soft shell heated jacket is the perfect coat to wear whenever you have to be outside in cold weather. 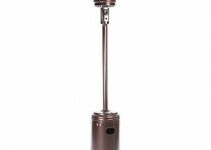 It features three heating zones that are powered by a 5 volt battery. The three heating zones include left and right chest and the back that each has three heat settings. The water resistant outer layer is made of 100% polyester and keeps you dry in rainy, wet conditions. The warm, fleece lining keeps you super comfortable even in the coldest temperatures without adding a lot of weight. There is plenty of storage in this jacket thanks to the left chest pocket and two hip pockets that are perfect for carrying keys, cell phone, and other personal belongings. Every pocket has a zipper to protect contents from falling out while you are working. The removable hood adds additional comfort and warmth to protect your neck, ears, and head which makes it better when you have to be outdoors in windy conditions. This comfortable and quality jacket is available in red or black and in small and medium sizes. This heated jacket from RioRand is made of a combination of Polyester and Spandex with a durable heating filament that can withstand washing in your washing machine. The jacket heats up in less than 5 minutes and can be controlled via the 3 LED buttons that can be set according to what the temperature is outside. The heat from the jacket can last up to 9 hours on a full charge. The heating areas of the jacket are left and right chest and back which keeps your core warm while you have to be outdoors in the cold, even extreme temperatures. This heated jacket for men fits great and makes working, camping, or just being outdoors in the freezing cold much more bearable. The sleek design is perfect for those who ride motorcycles or those who just like motorcycles. Heated jackets have become increasingly popular over the years due to the fact that they are perfect at keeping the body warm in extremely cold weather effortlessly. It is a real blessing for those who have to work long hours in the cold. There are many different types, styles, and qualities of heated jackets on the market. There are jackets that are specifically designed for men and for women and some that can be worn by either one. When searching for the right heated jacket, you will need to look at the features and make sure that the jackets you are interested in have these important features. The base layers of a heated jacket are usually vest liners that go underneath your jacket. The heating zones are almost always in the chest and back zones with some brands having additional heating in the collar and arm areas. Base layers or liners are best used under your shirt and will offer the most heat when used correctly. A heated jacket is different than just a vest liner. They have the same heating zones but have thicker lining and have sleeves to help keep your arms warm too. There are no heating zones in the majority of sleeves, but just having protection, especially if the cuffs of the sleeves are fitted, will trap in the heat and keep your body warmer. If you want the warmth of a heated jacket but don’t like sleeves there are heated vests available as well. These are very popular with consumers and are one of the highest selling heated jacket options. You can use a heated vest as an outer layer over a flannel shirt in a brisk fall day, or use it underneath a regular coat when you are at a football game in the winter. The lining can be either fleece or softshell depending on your regions cold temperatures as well as your personal preferences. Heated jackets come in all price points. The most expensive ones are not necessarily the best ones so knowing what to look for can prevent you from spending money on a jacket that will not sufficiently meet your cold weather needs. Style – Fashion is not the most important factor involved when choosing a heated jacket but since most people do care about how they look and what they wear, how the jacket looks when you wear it is something you should give some attention to when you are looking. Different manufacturers have different designs. Some are made specifically for women and have slimmer, more fitted lines. Others may be just for men and have a more masculine look to them. There are also some great color choices available from black to red to light blue. Lining – Soft linings make a jacket much more comfortable to wear and add to the warmth as well. Most lining is made from fleece or something equally soft. Check and see what kinds of lining the different jackets offer so you can ensure that it has that additional method of insulating you from the cold. Plenty of Storage – It is important that a jacket have multiple pockets for carrying things. This is especially true for men who don’t typically carry a bag for their personal belongings. Look for jackets that have several pockets. You will find that this varies from brand to brand. Some jackets may have 3-4 pockets and others may have as many as 7 or 8. Think about what you would be carrying in your jacket and look for styles that accommodate your personal belongings such as cell phones, wallet, and more. Heat Zones – This is another feature that will vary from jacket to jacket. Most jackets have three heating zones. These are found at the left and right chest and in the middle of the back. Some of the higher quality styles have 4-6 zones that can encompass the collar, arms, and more heating in the back and chest. If you live in a particularly severe climate in the winter you will want to look for heated jackets that have as many heating zones as possible. Heat temperatures – Most jackets, regardless of how many heating zones they have, have three heat settings that each zone can be set at according to the weather outside. These temperature gauges are usually in the form of LED buttons that can be pressed. Depending on the brand, these buttons may be for the heating zones as a whole or there could be a heating element for each individual zone. Anyone who spends time outdoors in the cold weather can make good use of a heated jacket. They are very light weight and provide a high level of warmth that you wouldn’t normally have just wearing a regular coat. They are also very handy because they can charge you portable electronics such as your cell phone right in your pocket while you are doing other things. 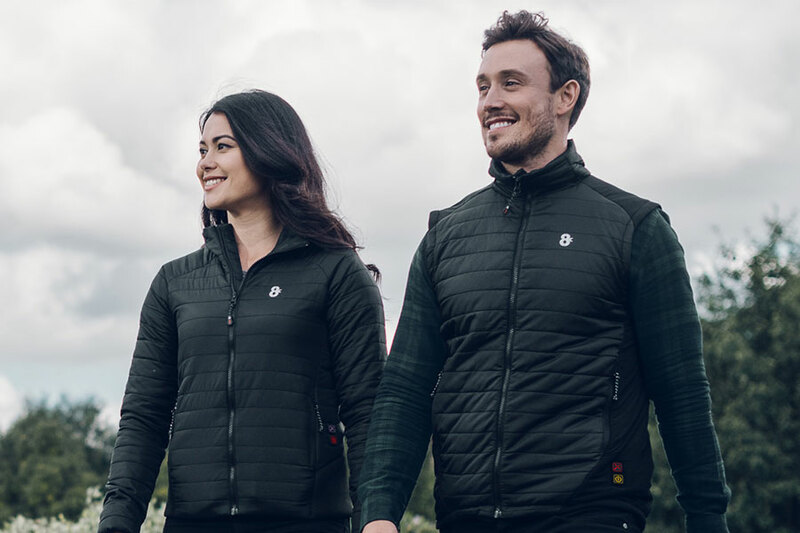 If you want to make working outdoors or engaging in outdoor activities in the cold weather, purchasing a heated jacket will be just what you need. There are many different styles you can choose from as well as different color choices too depending on the brand and manufacturer. Before you shop, take a few minutes and decide what you need in a heated jacket including storage capacity, charging capacity, warming zones, lining and other features. For example, if the area you live in has severe cold and wind, you will want to choose a jacket that has a good, fleece lining, lots of warming zones, and that is water resistant too. All of the jackets we have reviewed above are high quality options that have a variety of sizes, heat zones, colors, and storage compartments available. They rank at the top of the list with customers due to their style, features, and cost. Use the information in the guide and the reviews that we have provided to help you sort through all of the different options available before you make your purchase. This knowledge will help you understand what these jackets can do and what they have to offer.